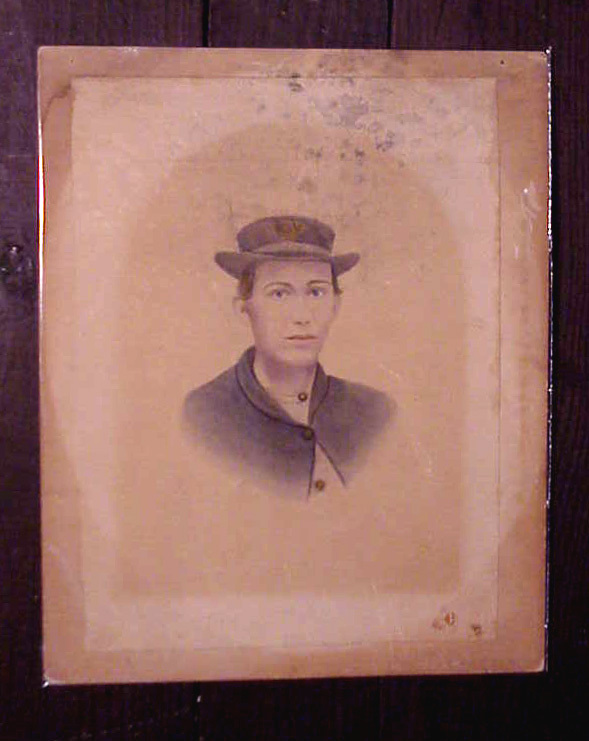 This is an Albumin of an identified Civil War soldier that had had tinting with pastel done over the foundation of the photographic image. 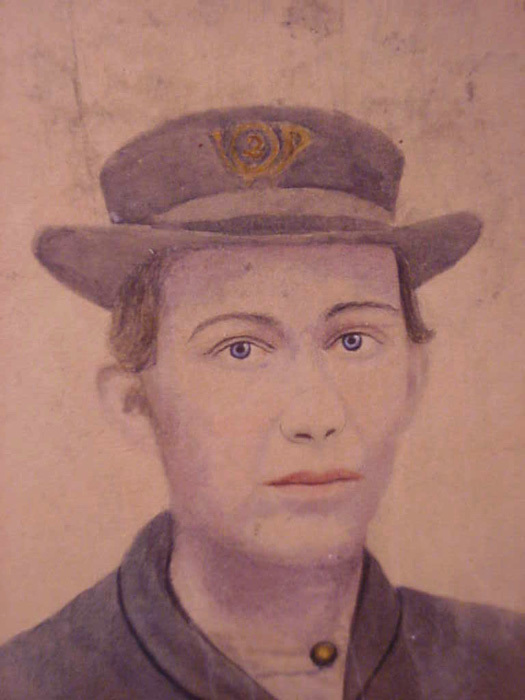 These "enhanced" photographs were done both during the Civil War and afterward upon copies of war-dated images in order to add color and vibrancy to the sitter's face and uniform details. They were hun in homes of proud veterans and later their descendants to show the now retired brave warrior in his days of glory. This image shows a plain young lad looking intently at viewers with wide blue eyes. His cheeks, hair & lips are lightly hand-tinted. His blue porkpie hat bears a yellow infantry hunting horn device. Buttons are yellow (gold) and frock coat blue. 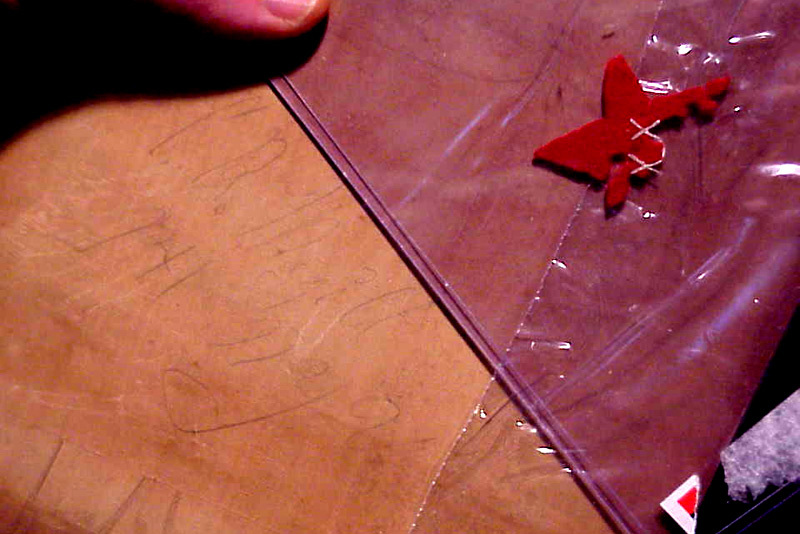 There are some scattered blue ink-like stains in background above his head, possibly from water causing inks from adjacent paper item to run under moist storage conditions. These could be cleaned away in future by a paper conservateur if you wanted. But thankfully, there is no mold damage or rot to albumin or mount card. So this historic image is stable. It's sizes are: Image (4 3/4" by 3 1/2") on a paper sheet (9" by 6 1/2") glued to its original mount card (10" by 8"). 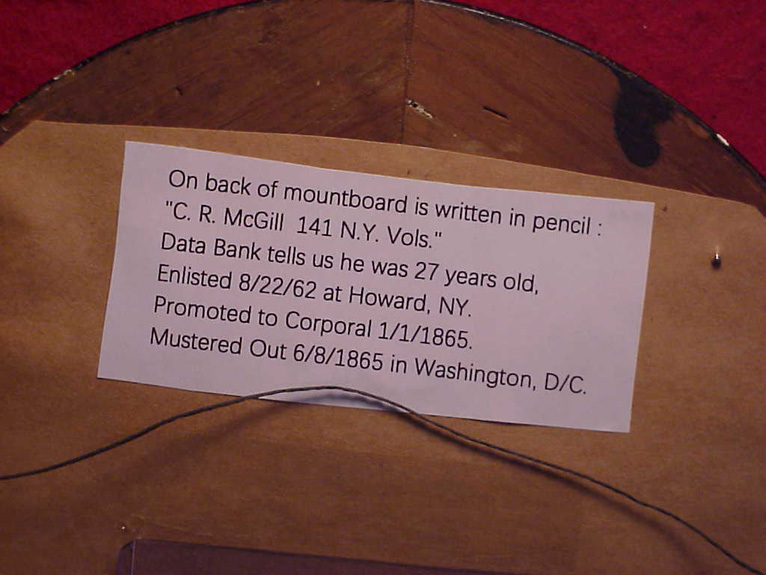 On back of mounting cardboard is written in pencil "A. R. McGill 141 N.Y. Vols." Data Bank tells us he was 27 years old, enlisted 8/22/62 at Howard, NY. Promoted to Corporal 1/1/65. Mustered Out 6/8/65 in Washington, D/C. So, he survived the war to tell his stories. 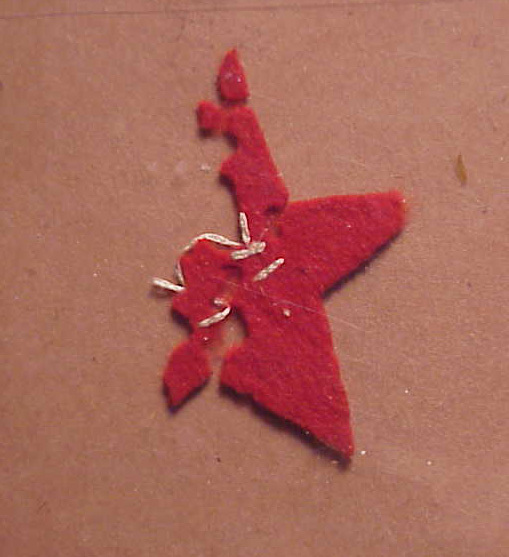 Along with this image comes a fragment red felt corps star from his uniform. Only half of it remains through time (and moths). But it was his and should remain with this image. 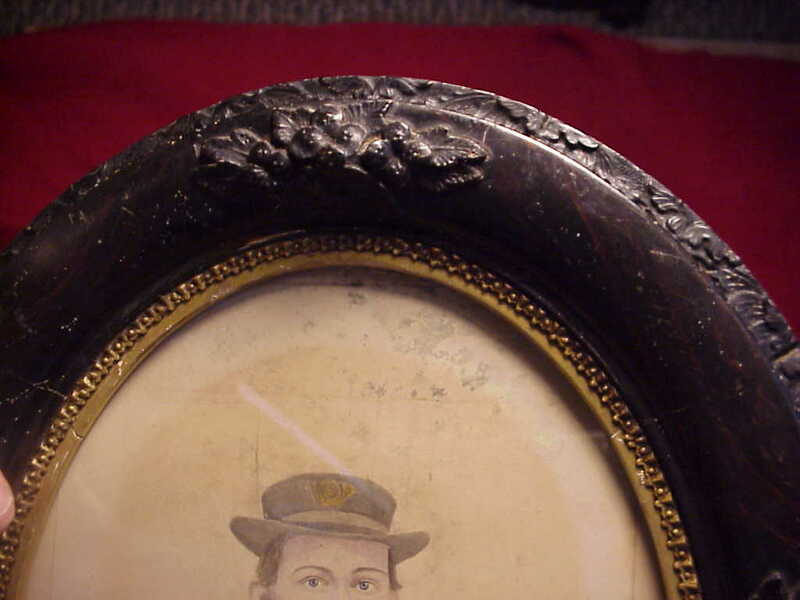 This is mounted in an original Victorian era fancy frame. 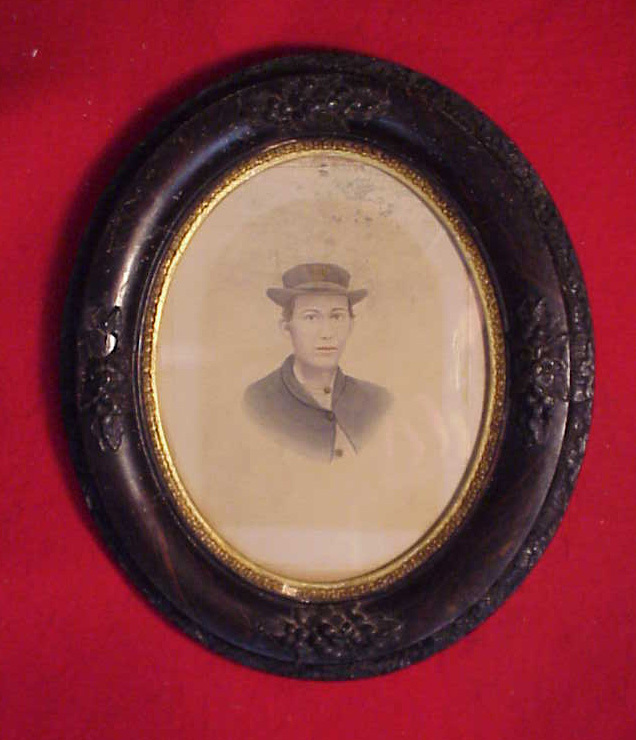 It is a neat ID'd image. 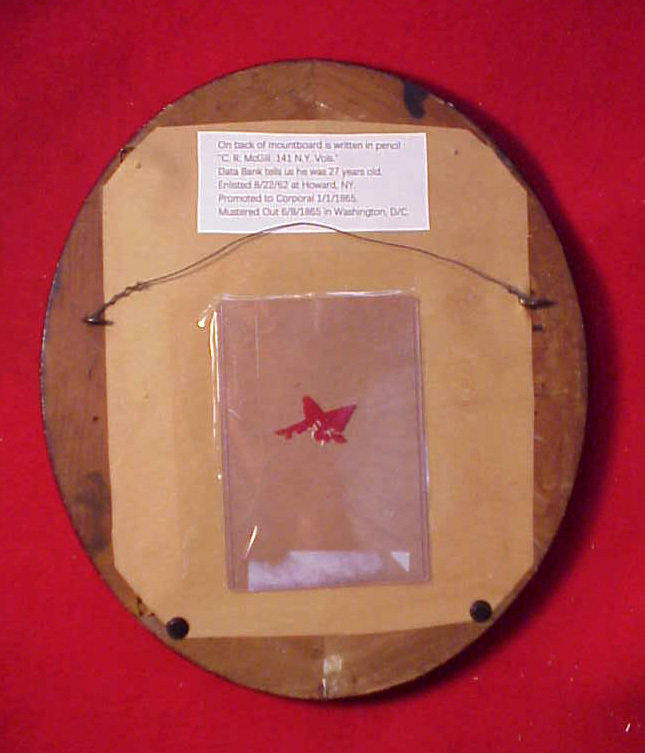 For the price & shipping charge, you get both image in a vintage frame and his tattered corps badge star.